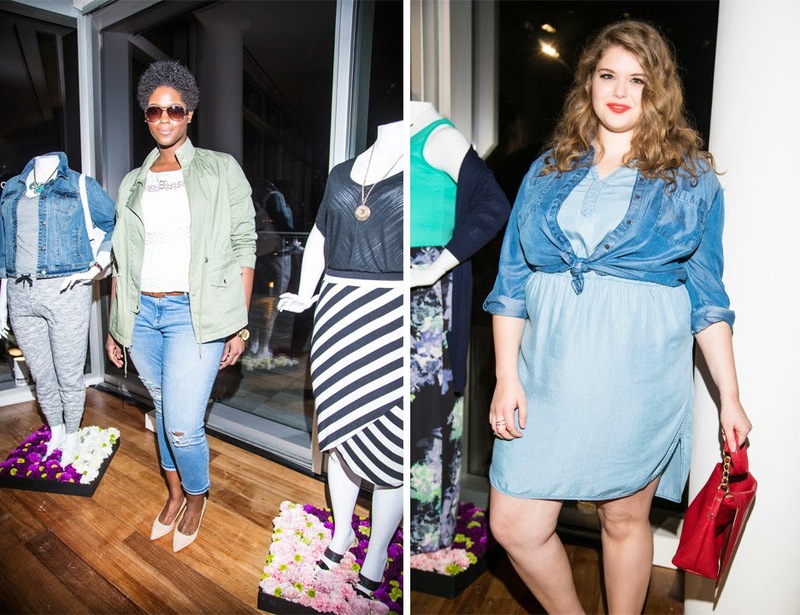 The launch of the #AVAandVIV line from Target was kicked off with a swanky party in the penthouse of the Standard East Village hotel co-hosted by myself, Gabifresh, & Nicolette Mason. The room itself had the most beautiful panoramic views of NYC. 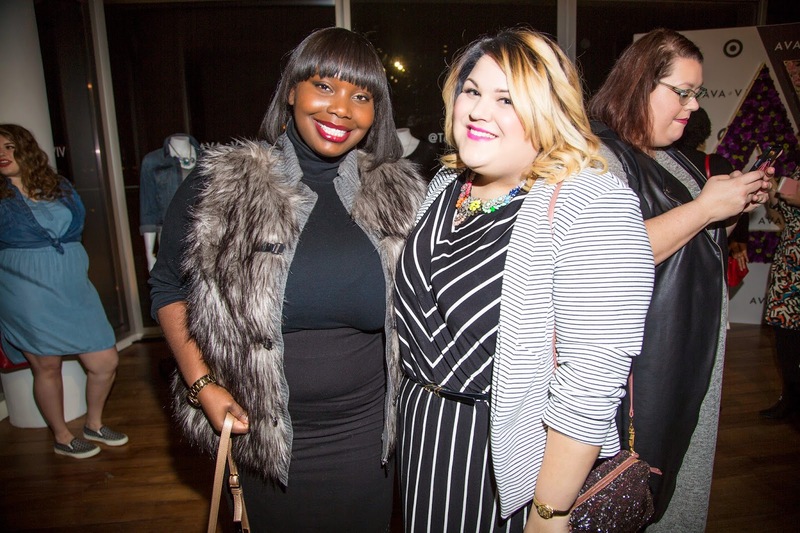 The guest list included some of your favorites like, Maddy from Plus Model Magazine, Denise Bidot, Nadia Aboulhosn, Alissa from Stylish Curves, CeCe from Plus Size Princess, Sarah from Curvily, along with media from Fashionista, Yahoo, and Refinery29. I even got my mom to come from Georgia and hang out for the evening. Hi mom! At the event you were able to physically look at #AVAandVIV on display racks. see it on mannequins, and gorgeous models. It really gave you a feel for the style of the clothing, which casual, cute, but still put together. Everyday casual is always a challenge to me and I know I've gotten a lot of requests for more everyday kind of looks, so I think #AVAandVIV does a good job of answering that. I, myself, have only tried on a few items, so I look forward to trying on some more. 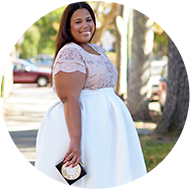 There's a fun video below that totally captures the event, the clothes, and the fun. FYI: There been a few questions about launch date. 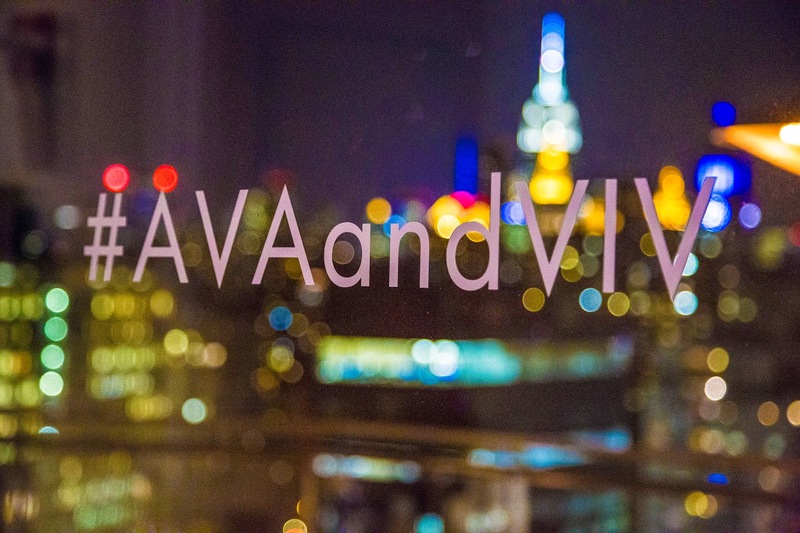 I just want to clarify that officially the #AVAandVIV launches online Feb 22, BUT will be a rolling launch for the in-store arrival from now through March. Pieces have already started showing up in-store. I actually went to my local Target about 5 days ago and saw a couple things in store, so definitely cruise by the plus size section to see what has arrived. Also, here's a random tidbit, so at the party I found out about Target's cartwheel app that yields all types of coupons, it's easy to use while shopping in store, and eliminates the physical couponing. My mom was getting the scoup from the Target team. She does not play about her coupons. HA! 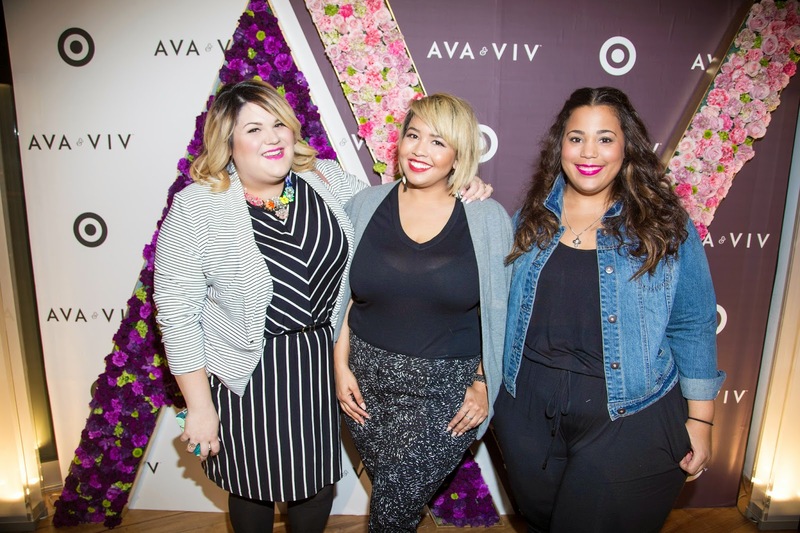 Super cute video of the #AVAandVIV launch party from Plus Size Princess. Had to include! This post was sponsored by Target, all opinions are by own.